His true notoriety is of course as Robin Hood-style benefactor to ambitious audiophiles on a budget. Still, "hairy Scot" Roy Hall of Music Hall has also been immortalized by popular columnist Sam Tellig. As Sam's friend -- but arch nemesis on paper -- his ongoing cameos in the popular Stereophile corner make for highly entertaining reads. They also insert back-handed plugs for Music Hall which, let's be clear about that, are highly deserved. To many, this long-lived purveyor of the Creek, Epos and now Shanling audio brands is a high-value hero in the morass of escalating pricing policies. Let's toast Roy with a bottle of rare 40-year old single malt Glenfiddich. Roy's penchant -- for scouring offshore markets to spot hot buys or to identify specific suppliers who can modify or from-the-ground-up design or build to his specifications -- is no secret. Hence his website openly lists today's review subject, the CD-25, as a Chinese-made Shanling product next to the tubed T-100. 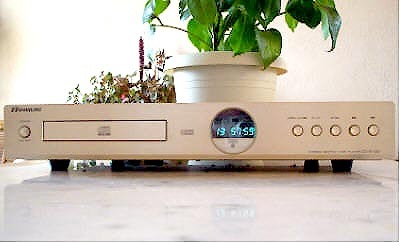 Once you proceed to its actual product page, it's also referred to as the Music Hall MMF CD-25. This open disclosure -- and associated affordable pricing with it -- are a welcome relief. Remember the recent Red Rose Music accusations? 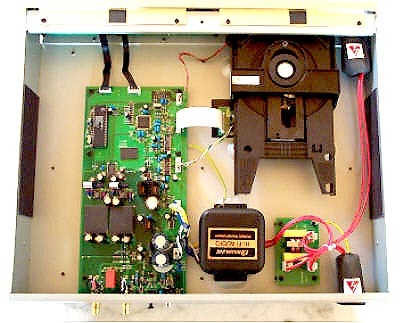 Internet chat rooms had it that Mark Levinson obtains many of his present-day electronics and speakers from the same land of the red flag with the five yellow stars. But contrary to Music Hall's price-conscious attitude, RRM -- or so the story goes -- now adds high-roller profit margins to ride on the equity of Levinson's name. Naturally this necessitates a diligent re-branding and repackaging job. Obscure the gear's pesky country of origin to charge those designer tariffs. Did that prevent web-savvy music lovers from (presumably?) unearthing the exact suppliers, original model designations and foreign retail pricing? No. Did they post their findings on the web ? You betcha. This is the instant-information age after all. Screw up in the morning and find yourself hanged by noon. Especially if you're a high-falutin' celebrity. Back on track. 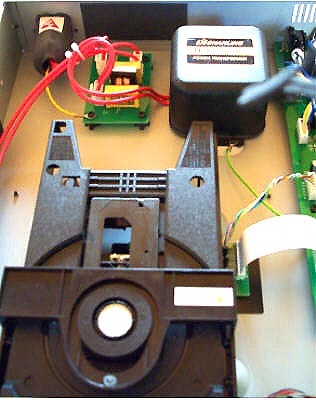 Quoting from the sparse Internet product page for the CD-25, we learn that it features an HDCD chip, a CD7-servo controlled Philips CDM 12-10 transport, a Burr-Brown 1732 24-bit/96kHz chip, OPA 2134 op amps in the output stage and an "innovative" power supply. Connectivity includes one coaxial and one optical digital out each, and one set of coaxial single-ended analog outputs. With its round cyan display and champagne-gold/grey body work , the CD-25 and its accompanying full-function remote suggest upper-crust Marantz. The slim-line unit is surprisingly hefty and very well finished. At 14" deep, it occupies a bit more real estate than stubbier players but doesn't exceed standard shelf sizes. Initial track start after reading the TOC is slow - I clocked 6 seconds once the display confirmed total track count. Skipping from a low to high track was equally - er, languid. But never call a Scot a Brit. Unlike certain British designs that need the "play" command after you've selected a track, the CD-25 -- quite logically -- assumes that if you've entered 1 and 2 for 12, you mean to play that cut, not just stare at the number indefinitely on the display. Bravo. About that display. A two-stage dim command won't extinguish it entirely but does reduce brightness significantly enough where our listen-in-the-dark brigade could snooze peacefully. Well done. However -- and presumably to keep things legible and simply -- the readout does not offer: Remaining tracks; remaining time per track/CD; programmed tracks. If you program a custom sequence, you do so by hitting "program" just once, then entering the chosen tracks by remote. Say your first programmed track was the 3rd. Your display will read "P01 :03", with the colon blinking as soon as playback has commenced. This readout will remain unchanged -- i.e. without showing any time functions -- until you get to the next programmed track for a "P02 :0x" readout. Should you be one of those rare souls burning compilations, the CD-25 as master could trip you in the following ways: You cannot cue up a track by entering its number followed by "pause". You either hit "pause" the moment it locks onto the track and hope you won't trim off a few milliseconds; or you hit play, pause, skip back. Unfortunately, once you enter pause, that's all the display will reveal: Pause. As happened to me repeatedly, the player would now skip not to the beginning of my track as planned but the previous one. Of course I'd realize this error only after I'd triggered play (and thus "record" on my slaved Marantz CDR-630) and the darn "pause" display vanished. Verdammter Schweinehund! With some choice Teutonic curses, I quickly gave up on using the CD-25 in that fashion. Admittedly, this is a very secondary usage. It's of concern only to a few potential owners. Still, I would be remiss not to mention it. Perhaps the folks at Shanling will consider rewriting some of their player's functionality? They also should add the -- usually standard -- remaining track/remaining disc time display options. Simplicity is good - but not if important features fall by the wayside. Everything else about using this player was swell. Let's ride some waves then and see how it carries a tune. But first, a confession. This unit wasn't stock. It had undergone the same kind of once-over parts enhancements and performance modifications that Chris Johnson of the PartsConnexion had already installed on the previously reviewed Jolida JD-100 player. I liked it so much that I purchased it to replace my ailing and skipping Denon DCD 1560 in the second system. Here's the menu of the PartsConnexion Level 1 mod as it pertains to the CD-25: Two sheets of Soundcoat inside the chassis (these work - the usual boinnng to the top plate goes thonk now); 4 EAR compliant Sorbothane isolation footers; 1 pair of Vampire OFC copper body, gold-plated RCA jacks; 2' of DH LABS pure silver, Teflon dielectric output wire; 10 x Japanese Riken Ohm ½ watt Carbon resistors with gold-plated leads in signal path; 8 x Black Gate Standard N- and C-grade electrolytic capacitors around the coupling caps and power supply; 2 x Multicap PPMFX-grade, metallized polypropylene capacitors in the signal path; 8 x SF4007 Vishay-Telefunken diodes added to bias supply; TRT Wonder solder throughout; ca. 3 hours labor. The 12-month Music Hall factory warranty is honored unconditionally on these modified players. Price? $350 for the mod, $600 for the stock player. Purchase both at the same time and pay $750 + shipping through the Graham Company. Who the heck is the Graham Company? A small Atlanta-based outfit run by Walter Liederman, known to many audiogoN shoppers as underwoodwally. Customers I've talked to give him top marks for service, follow-up and satisfaction. Before flying solo with his own business, Liederman was a senior partner in HiFi Buys. That was a 10-store consumer electronics group in Georgia that later sold to Tweeter Etc. Call Walter a been-there-done-that audio veteran. Perhaps that's why he turned to Chris Johnson for the Jolida and Music Hall/Shanling products? Identify, Roy Hall style, a quality well-priced product (from Roy Hall himself no less), then hire Sonic Frontier's ex-presidente C.J. to make it mo betta even, albeit without destroying its intrinsic price/performance advantage?